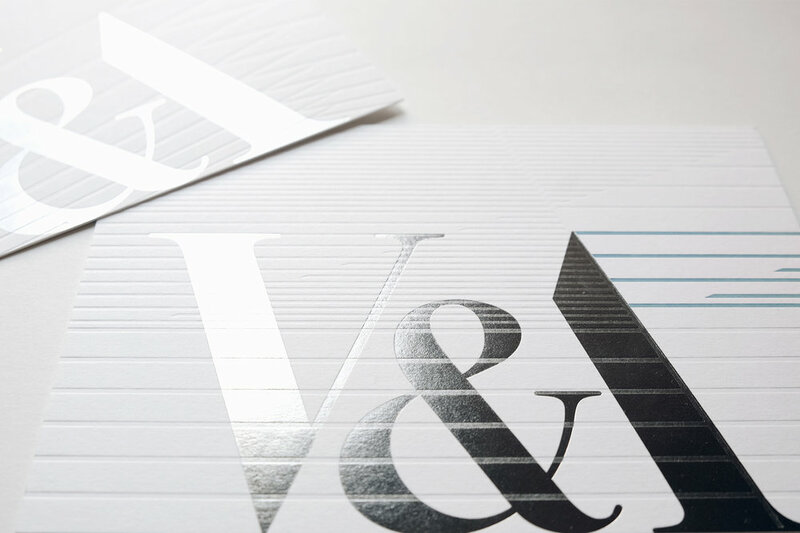 The V&A commissioned Margot Lombaert Studio to design invitations for two events relating to the opening of their major capital build project, the Exhibition Road Quarter. 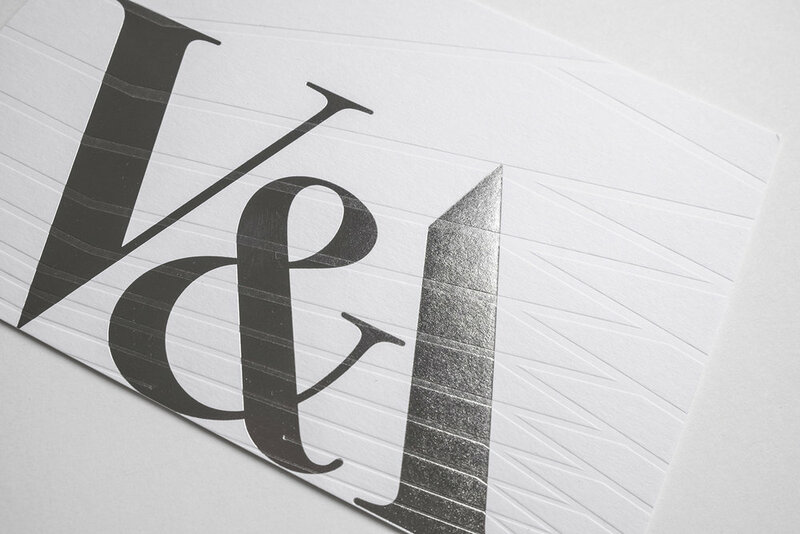 The two invitations are a graphic celebration of their new building. 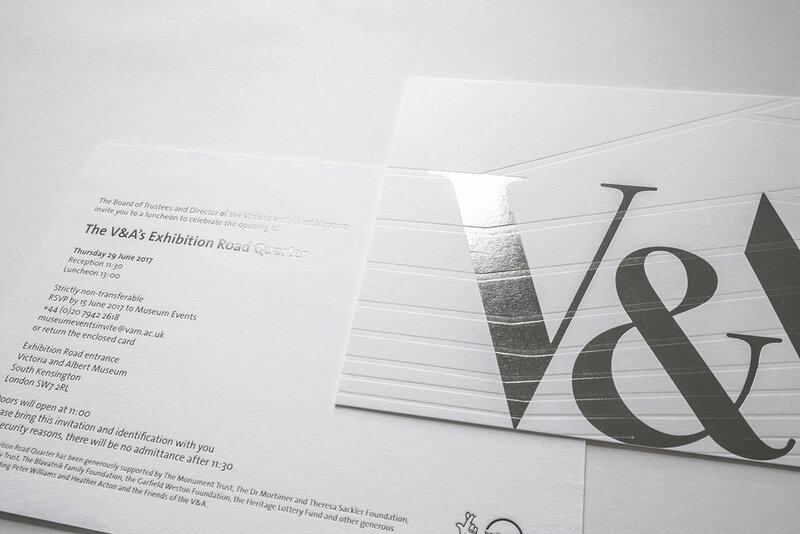 One invitation represents the porcelain-tiled courtyard while the second one takes its lines from the geometric ceiling of the Sainsbury Gallery.